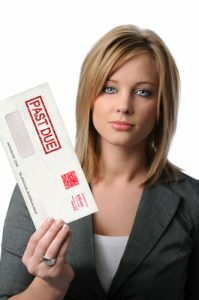 Picking up where Your Rights against Abusive Debt Collectors: The Fair Debt Collection Practices Act (Pt. 1) left off, below, we continue to discuss your rights as a borrower, according to the terms of the FDCPA. While the first part of this blog series provided some general info, here we will take a closer look at what debt collectors are not legally allowed to do when contacting you about an outstanding debt. Debt collectors cannot call you incessantly or use profane language when talking to you, according to the Fair Debt Collection Practices Act. Use any abusive, profane and/or inappropriate language when discussing your alleged debt. There are a number of other prohibited actions per the terms of the Fair Debt Collection Practices Act, and the Federal Trade Commission outlines these directly here. It’s important to point out also that the FDCPA does specify some things that debt collectors MUST do when contacting you about debt. We’ll go over these things in the third part of this blog series that will be posted soon – be sure to check it out! Are you overwhelmed by debt that is putting you in a serious financial crisis? If so, Denver Bankruptcy Lawyer Arthur Lindquist-Kleissler can help you figure out your best options for resolving your financial issues. Since 1979, Mr. Lindquist-Kleissler and the other legal professionals at Lindquist-Kleissler & Company, LLC have been providing both individuals and businesses with the highest quality legal services when it comes to their debt relief and bankruptcy needs. To learn more about how we can help you, contact us to set up a free 30-minute consult with Denver Bankruptcy Attorney Arthur Lindquist-Kleissler. Call (303) 691-9774 or email us using the contact form on this page. You will pay nothing up front to obtain trusted, professional advice regarding your case and your options.